The tensor fascia lata (TFL) is a problematic muscle for many clients. In many cases, it is synergistically dominant over the gluteus medius and often contributes to tightness associated with the IT band. 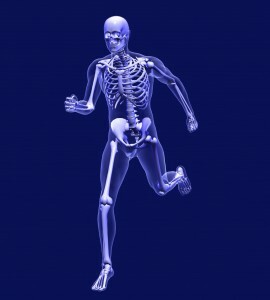 Its actions are primarily hip flexion and abduction, and it tends to be tight in many runners and athletes I see. Performing targeted soft tissue mobilization can help resolve myofascial tightness as well as promote better activation and preferential recruitment of the gluteus medius. Many people argue the effectiveness of foam rolling the IT band itself. While I am not inclined to ignore it altogether, I do believe that foam rolling probably has a far greater impact on the length/tension of the soft tissue beneath and associated with the IT band (e.g. glutes, quads, hamstrings and TFL). The TFL is often full of trigger points. Below is a video I created for my Functionally Fit column for PFP Magazine. Employing some routine soft tissue mobilization will help reduce hip flexor tightness and help reset the neuromuscular system and set the stage for enhancing preferential gluteus medius activation during training exercises. It has been a while since my last post. To be honest, I have been busy with preparing/presenting my live seminar last week and webinars, as well as fulfilling my writing obligations and clinical role. So, I have been taking a “break” from blogging and recharging the battery so to speak. Now I am getting back to it. The great thing about presenting though is that I am consistently reading and reviewing the latest research on topics related to my presentations and closely examine my rehab and exercise philosophy. In my clinic, I treat many runners for knee pain. The average profile is an experienced runner b/w the ages of 25 and 50 who logs 20 – 35 miles per week and routinely competes in half marathons or some sort of triathlons. Many currently debate the efficacy of foam rolling. Is it worthwhile? Some say yes, while others say no.